Inna Prokopenko, RN, has a strong nursing background and exceptional person-to-person skills that make her a valuable asset to Gateway Aesthetic Institute. She has worked with Dr. Taylor since April of 2001. Inna consistently offers comfort and professionalism to her Gateway clients. Inna came to Gateway from Ukraine after acquiring her nursing degree in 1993 and seven years of experience in her homeland. Inna continues researching and publishing her studies to further her nursing expertise. Recently she completed and published studies for the ND YAG vs. Radio Frequency (non-invasive skin tightening) and Photo Dynamic Therapy with Levulan and Omnilux LED. She was also named Clinical Nurse for Candela and Lumenis; both laser companies give her name to physicians needing clinical advice for settings and treatments using these lasers. Inna was also invited to participate at the Medicis Aesthetics National Nurse Injector Advisory Board. She was then named the official clinical trainer for Medicis, a company which provides popular fillers and neurotoxins. She is also a trainer for Allergan and Valeant. In this capacity, Inna is relied upon to train physicians to use each company's respective products. Inna has also earned Black Diamond status of injectors for Allergan. Inna travels worldwide to gain accreditations and additional skills and brings solid knowledge to her patients at Gateway. She is respected for her meticulous care. Gateway patients trust her to listen and provide the customized care they desire. She specializes in all skin rejuvenation procedures including filler, Botox, skin tightening, tattoo & hair removal and LipoDissolve treatments. Inna is the number one injector for Sculptra Aesthetic for all of Southern Nevada and Utah. 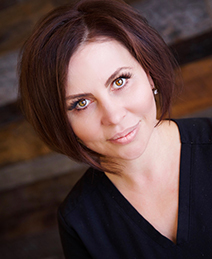 Inna also has great passion for treating patient scars, offering patients renewed confidence. When Gateway can get her to go home, she enjoys using her artistic abilities in oil painting. Gateway staff also frequently enjoy her talents in cooking.